This is going to be a difficult story for me to post, because as my readers know, I do what I can to avoid talking politics and religion on this blog. I do my best to navigate any advocacy issue without any bias towards left or right, religion or lack of. But as a survivor of cancer, and a multi-victim of discrimination because of my health history, HR1313 is a topic I need to write about. So let me start at the beginning, to state my qualifications and experience with the topic of this post. After nearly two years of battling Hodgkin’s Lymphoma (1990), though I was not unhappy with my employer, I was still looking for opportunities to improve my life financially. This meant investigating new job opportunities. My stepfather had recommended that with my personality and charisma, I would be perfect to work in the insurance industry. He was well known in his company and would do what he could to help me get hired. I met with my stepfather’s boss, who outlined what the hiring process would involve. There would be studying for licenses, other interviews, the application itself, and a medical exam. I was confused as to the need for a medical exam, as any of the other jobs I had held previously, never required a physical. Only school had required these at certain periods of my childhood. The manager had said there would be things I could do to save time while I studied. Getting the physical out of the way was one thing that could be done. So the physical went as expected. I was in remission from my cancer. My body, other than being a little overweight yet from treatments, was in good shape. A couple more weeks went by. I continued my studies, doing well on all the exams I was taking. I completed my application, and participated in an interview. A couple of weeks later, I received a phone call from the manager. “Hi Paul. It’s Jim. Listen, I was on the phone with the district office, discussing your application, and the home office feels that it we need you to be in remission from your cancer a bit longer.” I asked, “how long is ‘much longer’?” To which he responded, “well, it’s tough to say, you just finished your treatments recently. But you can always try again.”I hung up the phone in shock. I beat cancer, and I was being discriminated against for it. Was it going to be like this for the rest of my life? No one giving me a chance? I took the manager, the district office, and the insurance company before the labor relations board for discrimination. I was not even suing for money. I wanted their practice of discrimination to be punished however. With the help of my therapist, and a lawyer, this insurance company was in for a rude awakening. In 1990, the American With Disabilities Act was signed. It was a law created to prevent discrimination in all settings. For the purpose of this post, I am referring to employment, specifically hiring practices. The insurance company representatives were going to be some of the first introduced to the new law. It was now illegal to have an applicant subjected to a physical without the intent being to hire. In other words, the physical could only be demanded once the other requirements are met, and employment would then pend on passing the health physical. It was at least a moral victory. The lawyer for the insurance company then accused me of withdrawing my application so my complaint had no merit. Of course I did not withdraw. I know what I heard. And it was awful. 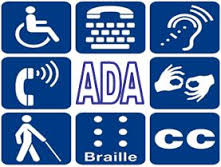 The ADA is not perfect. While on paper, it says it will protect people with disabilities from discrimination, but the reality is, if someone wanted to discriminate against you, there would always be a loophole. Like saying someone changed their mind verbally about future employment. Over the next many years, I would find myself fighting management repeatedly over challenging my ADA rights. I would also watch others, not assert theirs. Sure, they would complain about their treatment, and at times, allow their conditions to get worse, but they always kept their mouths shut. Worried about retaliation from management. At what cost? 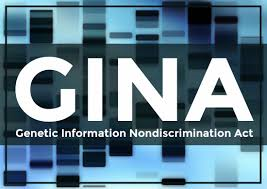 Then in 2008, the Genetic Information Nondiscrimination Act was signed. This was a bill that was intended to prevent discrimination based on genetic predispositions. With technology developing, it should be a good thing that science has been able to find out who might have higher chances of developing a serious illness or physical condition. But in the hands of an employer or insurance company, genetic testing would become a backdoor loophole to discriminate against employees or clients. This law at least on paper, is meant to prevent that. 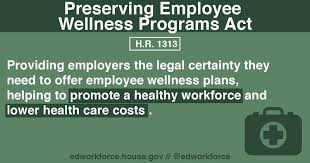 But now comes the Preserving Employee Wellness Programs Act, HR1313. While it is unclear whether this bill being created is something that will allow employers to demand of its employees and applicants, or whether it will be voluntary, is nothing but a bad thing. Back in 1990, I volunteered to a doctor, who I was sent to for a physical by the company – not my own personal physician – and volunteered that I just completed treatment for cancer. Even if this is a voluntary effort, volunteering information to an employer that they have no legal right to know, is setting yourself up to discrimination. Of course, they cannot tell you that you are not hired because your genes say you are more likely to have a heart attack or develop cancer. 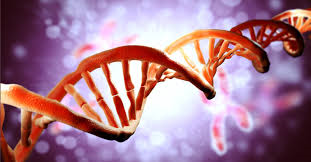 But knowing your genetics in advance of employment or during your employment, gives the employer and opportunity to develop the loophole necessary to deny you, or terminate you. It is shameful that this effort is under the guise of “enhancing” wellness programs at work, which are a good thing. But knowing someone’s genetics, is clearly being used to discriminate in either hiring (which the employers will never admit), and also to discriminate employees’ insurance benefits. Good genetics will get lower insurance rates. Bad genetics will get higher rates. DISCRIMINATION!!! Anyone who has had to fight a serious disease such as cancer, should never have to fight so hard for something they need such as insurance. Instead, efforts are underway to make it not only more difficult, but financially out of reach. You want a real good “wellness” program? Scheduled breaks. Better pay. Health insurance that encourages preventative visits. Less stress in the workplace. But knowing the genetics of an employee? That is just a tool for discrimination that an employer should have no right to. Once you open this door, like toothpaste, once it is out of the tube, you cannot put it back in. Like I stated in my post, it is bad enough that loopholes already exist to disguise discrimination. We have laws to protect us, and HR1313 is a government sponsored loophole, and if it were bad enough, the government and employers are hiding behind it being voluntary. Once that door is opened, and you give away your genetics, you are forever identified.